Wow, did you watch that video. Joe Biden must be a complete and absolute moron to say this. Look, I understand what he is trying to say and that he is trying to give respect to Hillary and her supporters, but a candidate for major public office should never, ever, ever, ever say that someone else is more qualified than he to be in the position he is in line for. Sure it may be true, but you don’t say it. It basically tells people, yeah, there are better choices than me and maybe even my inexperienced superior, but you are stuck with us. Way to instill confidence. The Democrats need a vacation. They should hide in a hole for about a week to regroup, this could be the all time greatest campaign collapse in American history. Incredible. Why did Obama wait so long? Upon waking up this morning and checking the news I discovered that Barack Obama has chosen Joe Biden to be his running mate for President. Not a terrible pick, but not his best either. But the question on the merits of Joe is not the question on my mind. The question I have is why did Obama wait until the middle-of-the-night on a Saturday morning to announce his Vice Presidential selection? Anyone who pays attention to the news is well aware that the weekend is the worst time to make an important, seemingly positive, announcement. The only time politicians release news on a Friday, Saturday, or Sunday is when it is something they hope to have forgotten and buried by Monday. Even employers wait until Friday afternoon to fire people. Frankly, I think it was a terrible decision. One that will negate any sort of bounce as a result of Biden joining the ticket. What they should have done is announced last Thursday or Friday that the Veep selection will be made before the convention so that bloggers, media, and everyone else could spend the weekend speculating who and when, on Monday or Tuesday use the ‘I know but I am not telling’ line, and then announced Thursday morning. Then they would own the news cycle from Thursday through the convention, every pro- and anti- talk show on TV, radio, and internet would be talking about it and blocking any McCain news whatsoever, it would be like a 4-day news coup with at least two of those days being normal news days. What I find most interesting about Obama’s campaign so far is that overall he has appeared to run a tight ship without any major and dire mistakes, but closer examination reveals little mis-steps, like this, that may not have a negative effect, but did not make the most out a particular situation. So far these kind of things have been costing Obama at the polls and allowed McCain pull into a tie. Obama will need to right his ship if he wants to have any hope of winning. Perhaps the choice of Biden is the first step towards doing that. Note: Also posted at swint.instablogs.com. Please go there and “star” it! I spent the past week attending two sweet network security conferences in Las Vegas, BlackHat and DefCon respectively. Essentially these are conferences for hackers. It was a great time and revealing to say the least. First, you need to secure your networks and your computer. Use anti-virus, firewalls, crowbars, chastity belts, or whatever it takes. Check to see what ports are open on computer, and close all but the essential ones that you need. Download tools to help you monitor your network traffic like Wireshark. Avoid social networking sites, or at least clicking on videos or even images. However, all is not dire. If you are sufficiently secured, you can still do all the fun stuff you like to do on the internet. Additionally, things are getting harder and harder for hackers to force their way onto your system, arguably the most effective system intrusions occur by you “inviting” them…e.g. opening an infected video, opening an email attachement from someone you don’t know, or browsing to sketchy sites. Now, I am not an expert on network security in any sense of the imagination. But I do know that simple defenses can make a world difference. So apply them. So onto my observations from the conferences. BlackHat and DefCon are two completely distinct and different conferences despite essentially covering the same information. 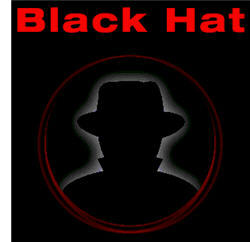 BlackHat is held at Ceasers Palace, costs an arm and a leg, offers training courses, and has a more professional feel. It is marketed to professional network security people. DefCon, on the other hand, is exactly what most people think of when you think of hackers, or at least I do. It is like a big party. It is held in the Riviera Hotel, largely a dive of a hotel (although they did remodel the rooms and my room was quite nice, although my bathroom licked). There were people walking around with full bottles of Jack Daniels, people straight out of the Matrix, presenters cursing at the crowd, and various hacking contests (which were pretty sweet!). DefCon is perfect for people watching. It is like having the locals of Santa Cruz all piled together in one hotel. 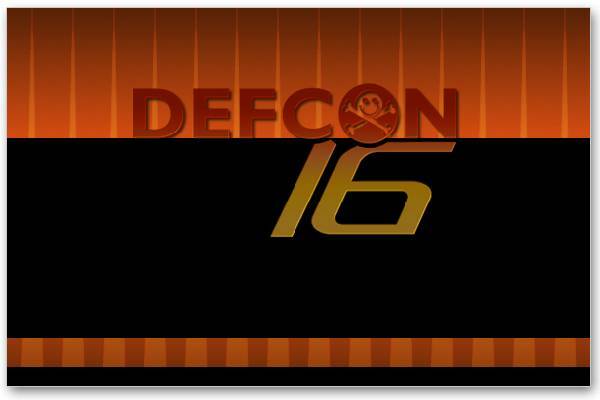 Oh, and DefCon is dirt cheap, only $250.00 for 3 days! I highly recommend these conferences to anyone who works in IT. A whole week of this stuff was a lot, almost too much, but it was a great experience. I learned more at BlackHat, but DefCon was way more fun. To the organizers: Keep up the good work! You do a fantastic job. The VEEP choice for John McCain will mean more for him than will Obama’s. John McCain needs to choose someone who can rally the base of the GOP, attract (or at least not scare off) Hillary voters who have been turned off by Obama, is strong where he is weak, can be President in the event McCain dies (his age is an issue), and can potentially help deliver “battle-ground” states. 1. Mitt Romney. While Mitt does not accomplish all the criteria above, he covers more than any other. First, he has become popular with the GOP base, and while evangelicals don’t like him, it is unlikely, his presence results in a McCain loss in the South. Mitt also is an economic genius, whereas McCain has readily admitted he is weak on economics. McCain could basically just make Mitt the economic Czar. Mitt also can deliver Michigan and New Hampshire (two states Bush lost in ‘04), as well as help the GOP hold onto Nevada and Colorado (due to the significant LDS population). Finally, he is the most qualified Republican for President not named John McCain (though I would personally argue that Mitt would be the best President from either party period, but I digress). 2. Sarah Palin. Who? You ask. Sarah Palin is the 44 year old knock-out, yet ridiculously competent, Governor of Alaska. Sure, Alaska is not a political powerhouse state and she has no more experience than Barack Obama, but her positives are off the chart. First, she is a solid conservative and extremely anti-corruption. She took on the extremely corrupt and entrenched GOP leadership in Alaska and won. She is an excellent communicator and does not hurt McCain at all. The best reason for her though is that she would capture the attention of the American, if not the World’s, media and people. She will undoubtedly attract significant swath’s of the female voters that were backing Hillary, despite her conservatism. She can help off-set Obama’s image and help McCain be “younger”. Her down side is her lack of experience, would she be able to step in as President should McCain not serve all the way through. Also, she is among the leaders of the GOP’s future, why potentially stall her in a failed Veep run? 3. Mike Huckabee. Ugh, I personally despise Huckabee and if he is the Veep choice there is no way I am voting for McCain. nevertheless, Huckabee would not be a bad choice for McCain. He would solidify the evangelical vote in the South which may be needed if Obama chooses a moderate Southern Democrat (like Jim Webb). The South is wary of McCain and Romney wouldn’t help there either. Additionally, he is polling the best of all potential Veep options and could help deliver Iowa to McCain. He has strong negatives though as well. He is divisive in the GOP. His economic populism is despised by fiscal and economic conservatives and he would not help in the least in delivering moderates to McCain; much of the American public views him as almost a Christian radical. 4. Bobby Jindal. Bobby is the current Governor of Louisiana and, much like Palin, is very anti-corruption and has cleaned up notoriously corrupt Louisiana. He gets a lot press right now and is very popular in the GOP. He IS the future of the GOP and a bright future that is. His only negative is his lack of experience. He would excite the base as well and could bring in a good number of moderates and democrats. He is young and competent and would be a fine choice. Additionally, he is a minority (Indian descent) and could possibly offset that advantage for Obama (though minimally at best. However McCain MUST NOT choose Jindal. Louisiana needs him now and for the next 4-8 years. The GOP needs him in the future. In 2012, look for a Jindal v. Palin race for the GOP nominee for the Presidency. 5. Tim Pawlenty, Governor of Minnesota. He is a great and popular governor and could deliver Minnesota for the GOP, a huge deal that would be. He also has been a staunch supporter of McCain’s, even through McCain’s collapse last year and McCain loves loyalty. However, he does little to exite anybody and, while he has no real downside, he won’t help either. He would be a ho-hum pick. However, like Jindal and Palin, he has a potentially bright future in the GOP. All in all there are some great options for McCain. Palin may be the best overall choice, due to her lack of major negatives. But Mitt Romney is what McCain and the country needs. What are your thoughts? Every year around the time of the NBA draft the topic of teams tanking the end of their season to increase their chances for the number one pick in the draft. This year the Miami Heat were blatantly tanking their season by shutting down Dwayne Wade and Pat Riley focusing more on scouting than on coaching. Coupled with the corruption issues with their refereeing, this is a terrible problem that the NBA needs to deal with. The problem is that as long as the worst teams get the best picks, this problem with continue. However moving to an even lottery for non-playoff teams is far from fair or healthy for the sport. The best solution would be for the NBA to take a page from Euro soccer: Relegation. The NBA should expand to forty teams and divide between an A division and B division of 20 teams. They would practically be separate leagues and every year teams fluctuate, the 3 worst in division A drop to division B and the three best form division B move to Division A. Only teams in division A can make the playoffs. This system would guarantee teams would avoid tanking, at least in division A. The NBA is the only league who could support such a system. Basketball talent is expanding exponentially every year, (whereas baseball talent is diminishing). There are enough good players to spread between forty teams to keep things competitive and interesting. Smaller cities, like San Antonio and Salt Lake City, can support teams and there are plenty of big cities that do not have teams that could, such as Baltimore, Pittsburgh, St. Louis, Kansas City, San Diego, and, soon, Seattle. The final reason why this is a good idea is that it is innovative in America. The NBA really offers nothing unique or special in its product, the playoffs are the same as the NHL’s and practically the NFL and MLB. Besides the NBA is waning in popularity, despite the good year they have had this year. They need something to make them unique and to draw the interest of Americans. Perhaps a relegation system would be just the thing, it would at least give sports talk radio more to pontificate on.